The Basic Attention Program, or Basic Attention Token (BAT) will change digital marketing forever. BAT is a blockchain digital advertising technology that cuts out ad middlemen. It aims to place the control back into the hands of users, advertisers, and publishers. It is time to disrupt the current state of the digital marketing industry. There are far too many middlemen whose sole goal is to sell off user personal information and browsing history. Middlemen have accumulated too much sway in digital marketing. BAT, however, returns the power via blockchain technology. Users regain control of their private information, and digital marketers get a more cost-effective and targeted audience to deliver advertising to. Let’s take a look at the current digital marketing problems and how BAT works to revolutionize the industry. The flaws in current digital marketing are evident. Users are perpetually served ads correlated directly to their activity on the web via their browsing history. Ever wonder why you keep seeing ads for rental cars and hotels after searching for vacation deals? This is a big issue. Furthermore, hackers are able to serve up fake advertisements that appear real. As a result, users are exposed to malicious software, ransomware, and other online security breaches. Not to mention the widespread issue of user personal information being exploited for profit. Those profits are rarely finding their way into the hands of advertisers. The current digital marketing problems are as challenging for advertisers as they are for users. 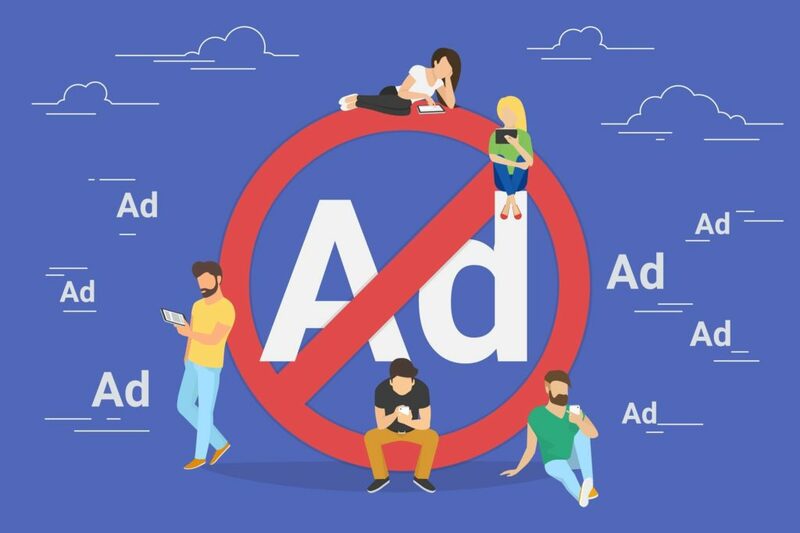 The large-scale adoption of ad blocker programs–over 600 million users have these programs–have wasted plenty of marketer ad spend. The usage of ad blocker programs soared by 30 percent in 2016 alone. This is making it increasingly difficult for brands and businesses to deliver ads to their target audiences. The middlemen are reaping the rewards while advertisers fail to meet ROI expectations on digital marketing campaigns. But there is a solution on the horizon. BAT will allow users and digital marketers to communicate and develop an advertising user experience beneficial to both parties. BAT will provide an opt-in advertising platform that serves as a solution to the current digital marketing problems. Users can choose who gets their personal information and browsing preferences. They can also opt for ads that they are truly interested in. This is optimal for advertisers. Consumers willing to give, or sell, their information to a brand or business is a quality lead worth the ad spend. This will increase ROI and ensure users are served ads they want to see. Interested users are then rewarded in BAT tokens. The Basic Attention Token is on the Ethereum blockchain (ERC-20) and paired with the Brave Browser. The Brave Browser is an open source browser that aims to block ad popups and tracker malware. 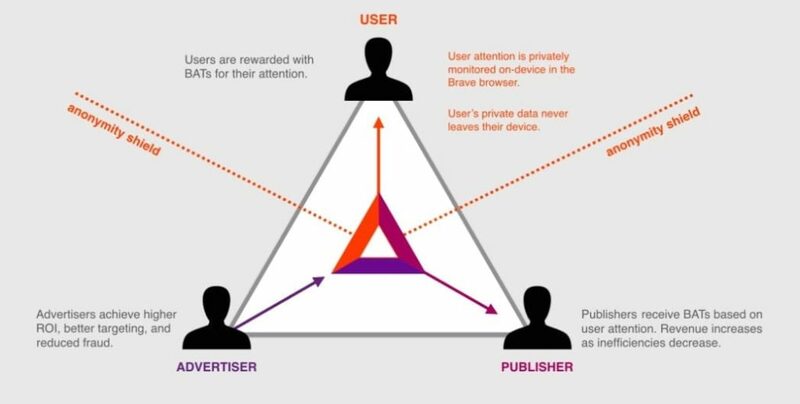 The BAT token has a digital wallet on the Brave Browser that allows both users and publishers to get paid based on ad attention. Users can then choose to donate their BAT tokens to websites they like, showing their engagement level and support. Key takeaways on BAT . . .
Users are served quality ads and regain control of their personal information and browsing history. Advertisers receive better data for their ad spend and increase ROI. Publishers get rid of the middlemen and get paid for their efforts. BAT is intended to radically improve the efficiency of digital advertising by creating a new token that can easily be used among publishers, advertisers, and users in the new blockchain-based BAT digital advertising and services platform,” Robin O’Connell of Uphold said. It is simply advertising at its best. The current state of digital marketing is too middleman heavy. It is time to disrupt the old and step into the future of advertising with BAT. Do you think BAT will change digital marketing for the better?